Your building project depends on the reliability and solidity of its base. 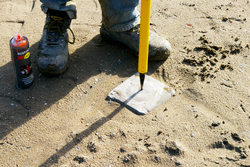 Precise dimensions for pile foundations and concrete is, naturally, crucial. 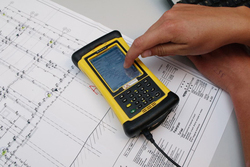 Vroom guarantees quick, efficient and precise dimensioning for all conceivable foundations work. Correct dimensioning prevents unnecessary discussion, both beforehand and afterwards. For instance on the pickets to be used, the setting out of the pile plan, the pile driving process or the latest update in the drawings. Moreover, the building contractor knows right from the start what aspects of the project Vroom is responsible for. If you wish, Vroom can advise you on dimensioning as early as the offer stage. This improves progress on the project. The various options are explained in greater detail below. 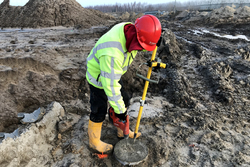 The combination of 'dimensioning and pile driving work’ is a great start to your building project, whether it involves newbuild, extension or foundation repair. The Vroom Meetdienst engineer forms part of the building team, preparing and carrying out dimensioning on the basis of the current situation and drawings accurately and in consultation with the principal. 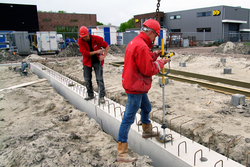 The combination of 'dimensioning and pre-fab foundations’ offers a range of options. The most usual combination is geared to using pre-fab foundation beams. With pre-fab foundation beams, anchor groups can be cast at the production stage. The anchor groups can be positioned in the mould with a high degree of accuracy at the concrete plant. 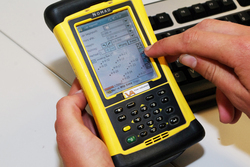 This saves time at the building site and delivers measurements you can rely on. 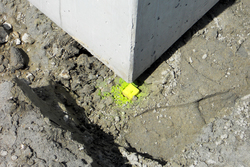 On site, the pre-fab foundation beams are adjusted to the anchor measurement under the supervision of our engineer. The greatest advantage of the combination of ‘dimensioning, pile driving and pre-fab foundations’ is that Vroom is solely responsible for correct dimensioning at this first and most important stage of the building process. In the case of an all-in package, Vroom can start with dimensioning and setting out the earthworks, ending at ground level or the first floor up. Vroom can also set out floor slabs, outlines and angles of building shells. The dimensioning of the pile driving is set out in stages in amounts that Vroom deems reasonable. Among other things, this depends on the pile plan and the quality of the building pit. Vroom Meetdienst is a specialist dimensioning municipal points, existing buildings and piles (making 'as-built’ drawings and reports). Furthermore, we set out groundwork, pickets, outlines, foundation beams and blocks, anchor groups and concrete embeds. 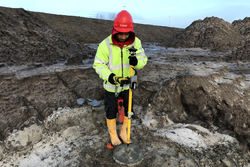 Vroom Meetdienst can also be deployed for the transcription of the cutting height of pile heads and the dimensioning of basements, walls, building shells and upper floors. In specialised projects continuous dimensioning is an option. Our dimensioning service is ISO 9001 certified. In the event of pile defects Vroom's designer will immediately consult with the chief designer to discuss the defect and recommend the best solution. Vroom is responsible for the quality of the dimensioning. Pickets/fences have sufficient length and are adjusted to suit the ground in the building pit. We re-use pickets/fences as often as possible as part of our sustainability policy. These form part of the standard package. dimensioning a traditional framework/shell using lines on the floors. Wooden chocks are used for a pre-fab framework/shell. 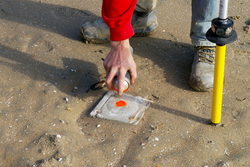 Inspection and recording of the measurements during installation.